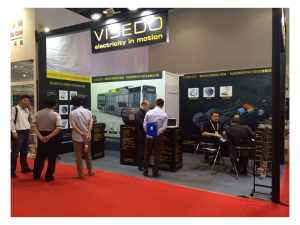 We cooperated with VISEDO to introduce the latest products – heavy duty hybrid and electric drive trains in 2014 Bus and Truck Expo. We met many experts in the E-Bus market through this expo and successfully introduced our company and products to visitors. We will continually source the sophisticated and hi-tech components for supporting customers in industrial development.